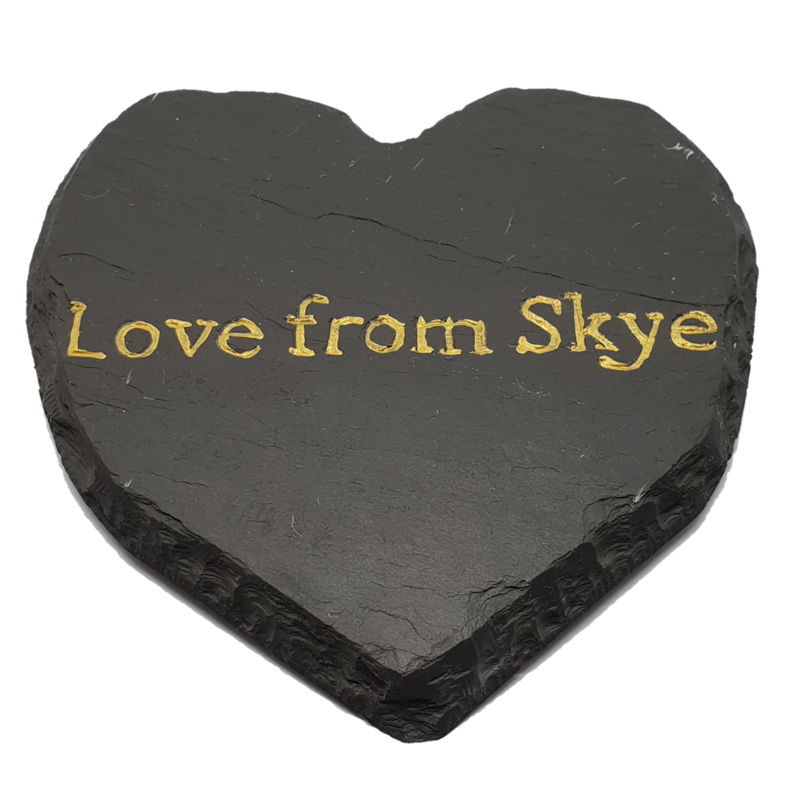 These slate hearts are made in Scotland by The Slate Shed from reclaimed slate and have ‘Love from Skye’ inscribed in to them in gold lettering. 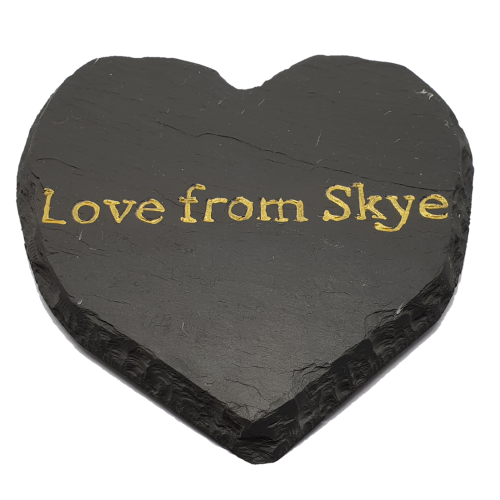 Each slate is 10x10cm and fitted with rubber feet to help protect your surfaces. Due to the nature of slate and the handmaking process, each piece has unique characteristics.